My cup runneth over. Who needs that vote, when at least they are taxing us and giving us a Maysles Brother Filmfest. All. Summer. Long. In the cool, hallowed halls of the National Gallery of Art, or more specifically the movie theater. Because who needs to be outside in the middle of the day in a DC summer. Am I right here? 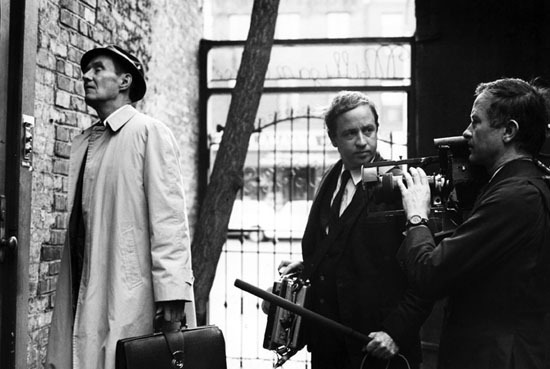 Albert Maysles (1926–2015) and his brother David (1931–1987) expanded the artistic possibilities for direct cinema by espousing “the eye of the poet” as a factor in shooting and editing cinéma vérité. Their trademark approach — capturing action spontaneously and avoiding a point of view — became, for a time, the very definition of documentary. This series focuses on their interest in art and performance and includes several screenings in original 16mm format. It is presented as a tribute to Albert Maysles, who died in March, 2015. Al often visited the National Gallery of Art; his wife Gillian Walker was the daughter of former Gallery director John Walker. Special thanks to Jake Perlin and Rebekah Maysles. Truman Capote reveals his personal thoughts on his book In Cold Blood, in a new genre he dubbed the nonfiction novel, “turning reality into art.” (Albert Maysles, David Maysles, and Charlotte Zwerin, 1966, 29 minutes).